It was the time again! (I know it must’ve been pretty late) It’s the 24th annual Jakarta Book Fair – my 3rd time visiting the book fair – and as per usual it was held in Istora Senayan Jakarta. My favorite place is on the right corner after the main entrance, Periplus’ stand! The books were such a rip-off, plus they were on a great condition. No wander every time I get there, the place was always crowded, especially on weekends. I instantly gone crazy, and snatched every interesting books that I encountered (which were a lot) – although later I sort them out. The funny thing was, even though it’s been like 3rd time I visited the fair, I was always surprised by the huge amount of discount that they gave. 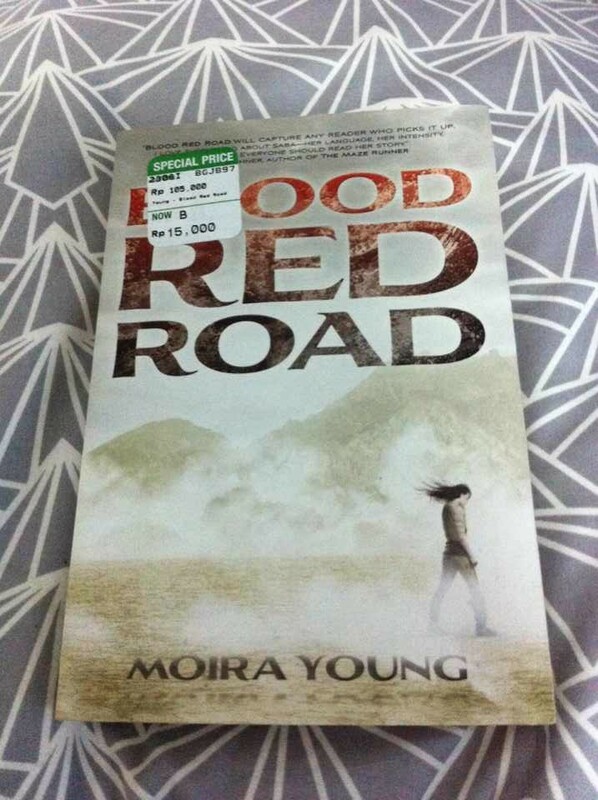 One book, Blood Red Road by Moira Young, was discounted to Rp 15.000,00 BEFORE the real discount of 50%, which means that the actual book was priced by Rp 7.500,00!! (I still couldn’t get myself over this part). Not that the book was in perfect condition, whatsoever. But given such a shocking price for a great read was seriously insane! (Which means I’m perfectly happy and totally agree that this is what sale should be). After hours of digging every pile of books and deliberating on what books I should pick, due to the increasing amount of TBR pile, I came out with 6 books and 3 magazines (those three was priced Rp 5.000,00 each). I was literally surprised to see the total price of all books and kept asking the cashier if the price was for real; Rp 160.000,00. That actually means, I barely spent Rp 25.000,00 for each book! (sorry for the calculation, I still couldn’t get over it). + 3 more magazines! (1 LIFE Magazine Whitney’s edition 🙂 ). 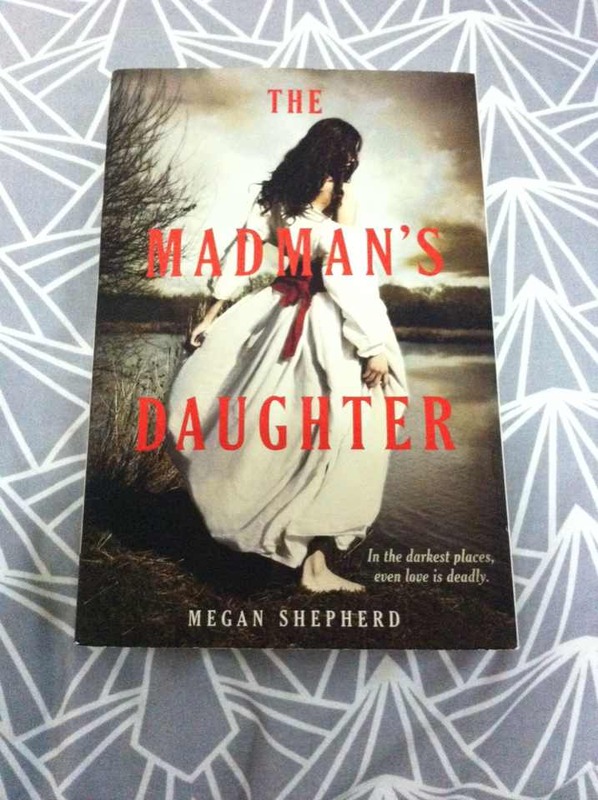 The Madman’s Daughter by Megan Shepherd – I’m very excited about this book! It sounds dark and the cover looks creepy! 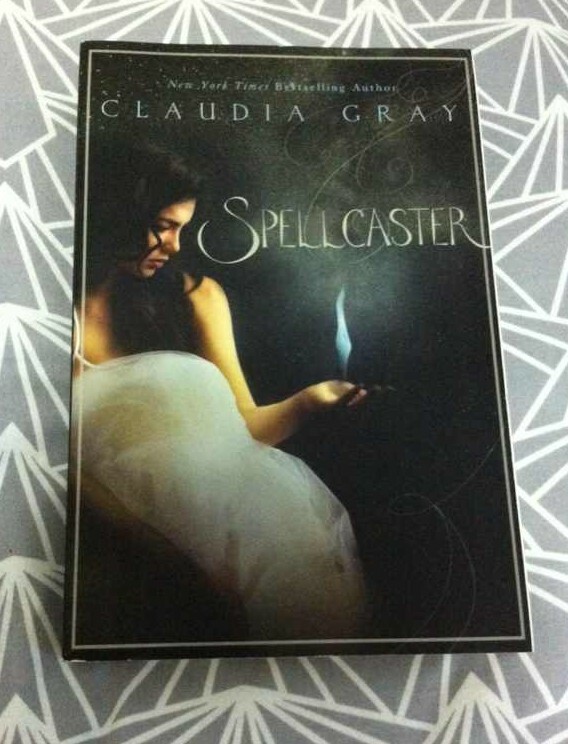 Spellcaster by Claudia Gray – The cover looks pretty and a bit eerie, it’s about witches after all. Heard a lot about Claudia Gray, although I haven’t got the chance to read her books. This will be my first! 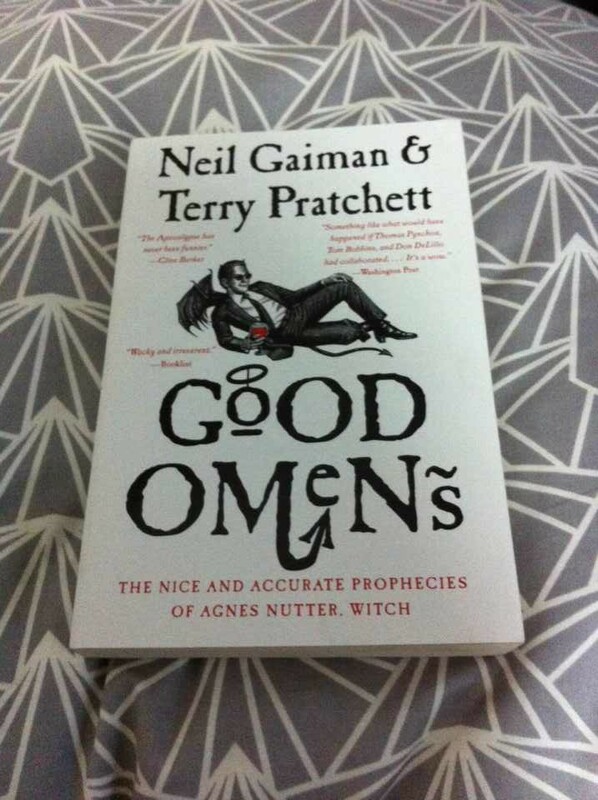 Good Omens by Neil Gaiman & Terry Pratchett – I snatched this book at the first glance, and it was only 1 left! Neil Gaiman, I heard a LOT about him ( he wrote the famous Stardust and American Gods ) and had been dying to read his books. I couldn’t believe my luck, they only had this baby left. Blood Red Road by Moira Young – It is the first in the Dust Lands trilogy, again I’ve heard great many things about the series. I couldn’t wait to read the book! Plus one children book – I forgot the title – which was borrowed by my cousin. 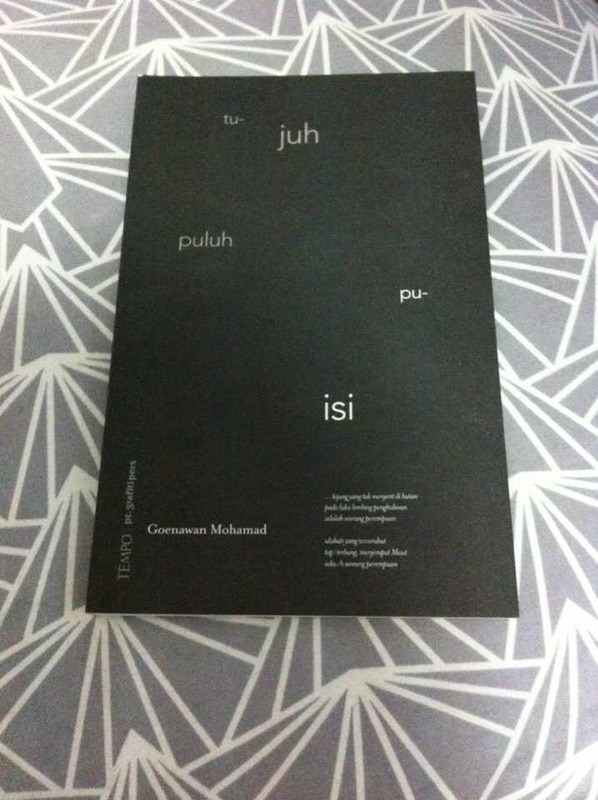 70 Puisi by Goenawan Mohamad – I didn’t bought the book from Periplus though, but I found it on a booth which sells old books. I’ve been admiring the works of Goenawan Mohamad for quite some time now, he’s highly talented and his poems are highly amusing. 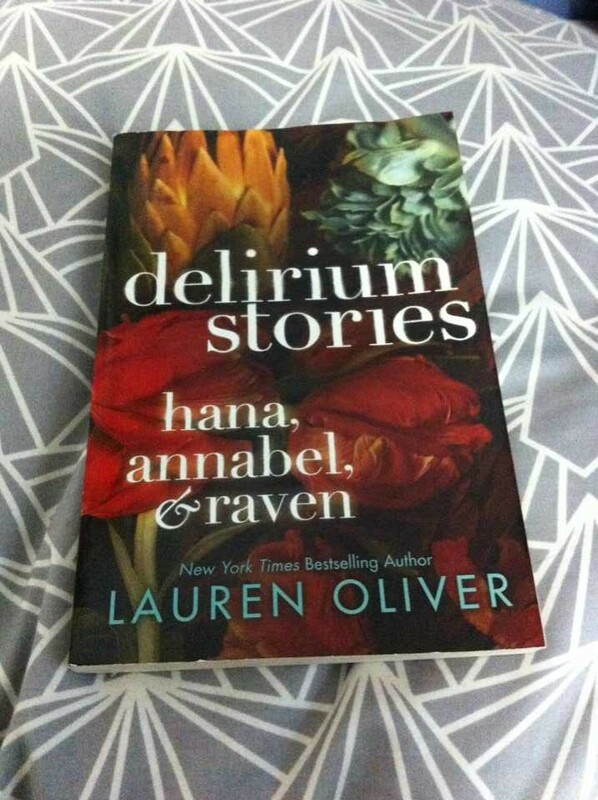 I’m very very excited to read this one!